The reverse transfer characteristic is a rarely discussed characteristic of voltage regulators. 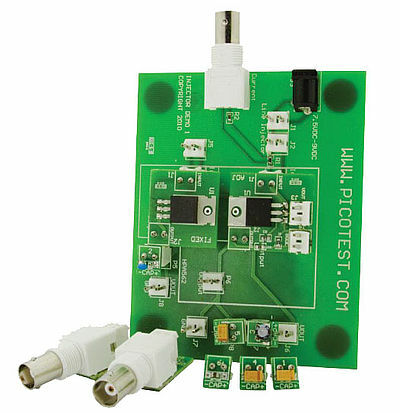 For this application note the Picotest VRTS board provided the device under test. 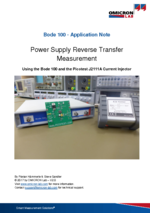 Reverse transfer is an unappreciated and rarely discussed characteristic, defining the attenuation of the load current perturbations at the regulator input. When multiple regulators are connected to the same input bus, poor reverse transfer of one regulator could potentially cause noise or oscillations at the output of another. In this application note we show a step by step guide on how to perform this measurement using the Bode 100 and the Picotest J2111A Current Injector.